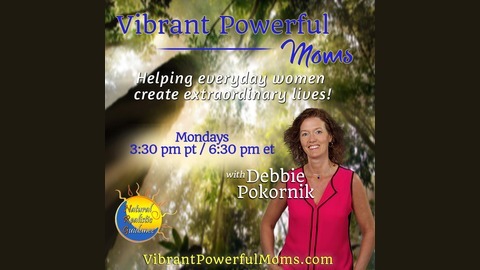 MONDAYS 3:30 PM PT Vibrant, Powerful Moms with Debbie Pokornik - Helping Everyday Women Create Extraordinary Lives Often it is the simple, little things you do every day that will have the greatest influence on your overall life experience. 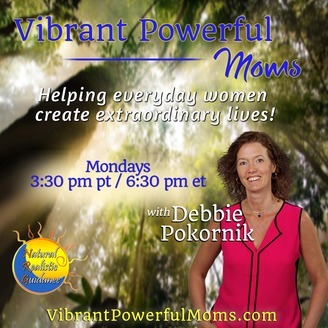 Your host, Debbie Pokornik, will share thoughts, tips and stories from her own life to help you become aware of things you might be doing to hold yourself back as well as to inspire and guide you to create a life you love. Debbie's shows will cover topics such as self-awareness, relationship building, healthy living, parenting, emotional intelligence, and spirituality. Debbie will also welcome guests who she believes will share helpful information for living a vibrant and powerful life. So, whether yoursquore a mom who feels stuck on autopilot a proactive learner whorsquos already well-versed in living an awakened life or a commuter whorsquos looking for something upbeat and informative to listen to during your travels, this show is created for you. This week I invited Michelle back to dig deeper into how we can help our future generations deal with the challenge of mental health.Tune into the show to hear some unsettling statistics on how far reaching mental illness is and get some wonderful insights on what each of us can do to make a difference for the over 260 million kids dealing with this challenge.